PARKERS: No onward chain. 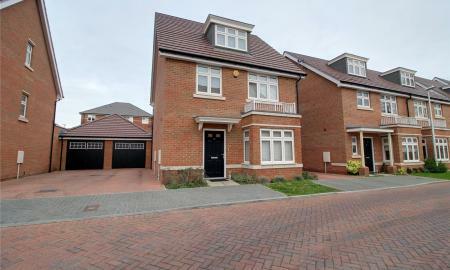 A five double bedroom detached family home. 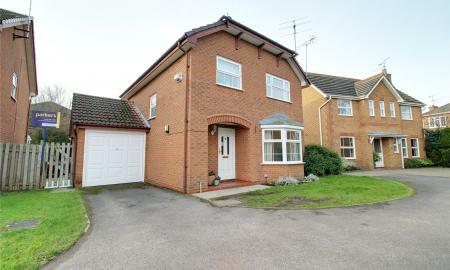 The property comprises entrance hall, living room, dining room, kitchen, family room and cloakroom. On the first floor there are five double bedrooms with an en-suite to the master and a family bathroom. 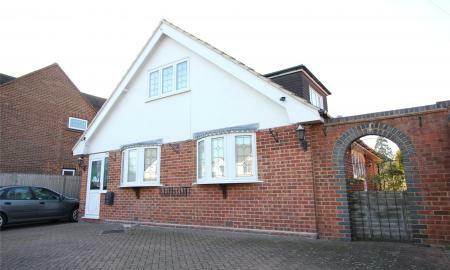 Externally there is gated driveway parking, garage and rear garden. 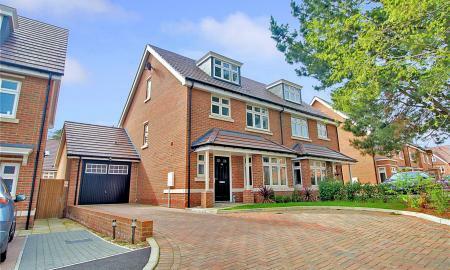 It further benefits from being located less than one mile from Earley train station and has excellent access to M4 motorway, Thames Valley Business Park, Reading Town Centre and University of Reading. PARKERS: An immaculate five bedroom detached family home located in a cul de sac and excellent access to Schools, amenities, business parks and transport links. The property comprises entrance hall, cloakroom, living room, kitchen/dining/family area with door leading into the rear garden. On the first floor there are four bedrooms and a family bathroom. The second floor has the master bedroom with en suite and storage area. Externally there is off road parking and garage which has access from the rear garden. Internal viewings are highly recommended. A stunning four bedroom detached family home that has off road parking up to three cars and a garage. The property comprises entrance hall, cloakroom, kitchen/dining room, storage cupboard and an impressive open plan living/dining area with doors leading onto a private not over looked rear garden. The garden is south facing with woodland views. On the first floor there are three double bedrooms, en suite and family bathroom. The second floor has a highly impressive double bedroom, with walk in cupboards leading onto the en suite. There is also a larger than average storage cupboard. The cul de sac has tranquil surroundings and viewings are highly recommended. An immaculate extended five bedroom detached family home located in a cul-de-sac with excellent access to shops, amenities, schools, M4 and business parks. 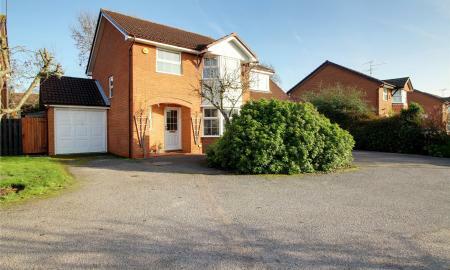 The property comprises entrance hall, cloakroom, family room, living room, kitchen/breakfast room and access to the garage. On the first floor there are five bedrooms, en-suite and family bathroom. There is off road parking for several cars and the rear garden is enclosed, mainly laid to lawn with a decking area. 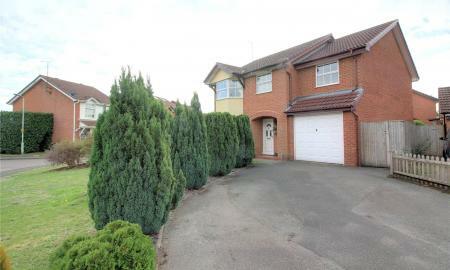 Parkers: No Onward Chain, A deceptively spacious four bedroom detached family home. 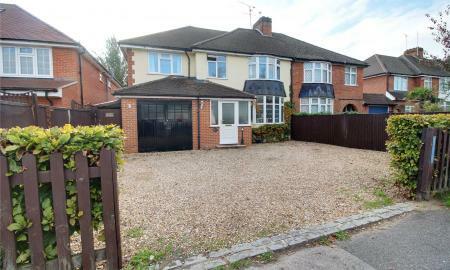 Located less than one mile from Earley train station and excellent access to M4 motorway, Thames Valley Business Park, Reading Town Centre and University of Reading. This property has an in and out driveway, garage and study/office. 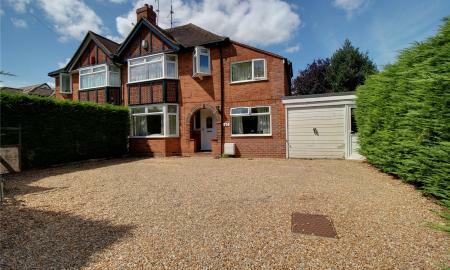 Ground floor comprises of entrance porch and hallway, kitchen/breakfast room, living room, dining room, two bedrooms and bathroom with wet room. On the first floor there are two further double bedrooms and a family bathroom. The garden is L shaped approx. 80', mainly laid to lawn with large patio area at rear leading to further plot of land approx. 40' x 25' ideal for single storey building. PARKERS: A five bedroom detached family home with off road parking for several cars and located in a cul de sac. 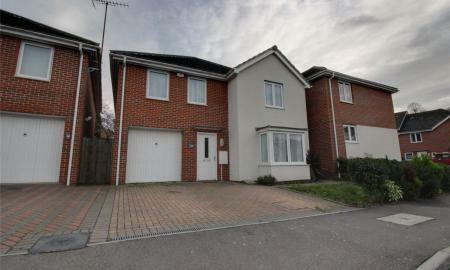 This property has excellent access to the M4 and A33 to Basingstoke as well as Reading and Wokingham Town Centres. 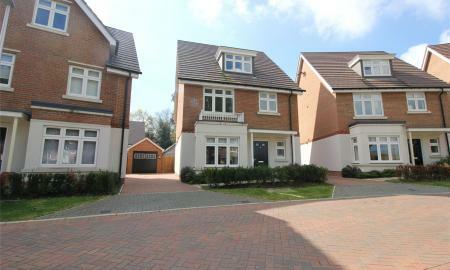 The property comprises entrance hall, cloakroom, living room, family room and a stunning refitted kitchen dining room. There is access to the garage from the kitchen. On the first floor there is five generous bedrooms, en suite to the master bedroom and separate family bathroom. The rear garden is enclosed with a lawn and patio area. Internal viewings are highly recommended. 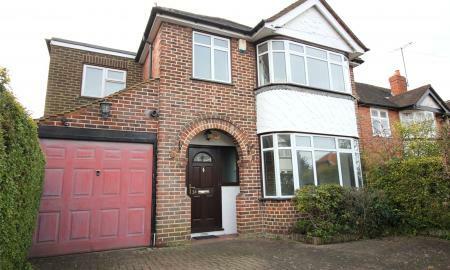 A rarely available well presented four bedroom detached family home located on a corner plot. 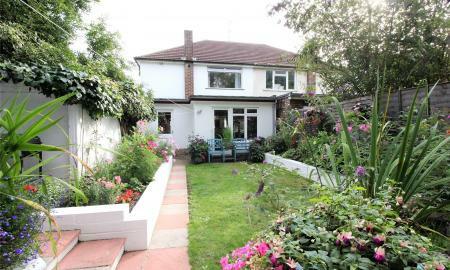 The property comprises entrance hall, cloakroom, kitchen/dining room, living room and conservatory. On the first floor there are four generous size bedrooms, en suite to the master bedroom and a family bathroom. 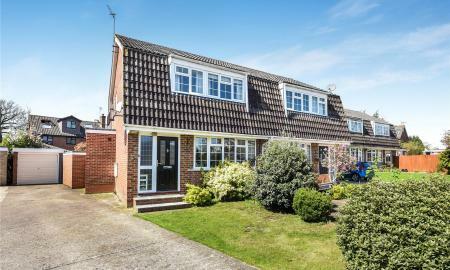 Externally there is off road parking, soundproofed double garage/studio/study, enclosed mature south east facing rear garden with storage and decking area. 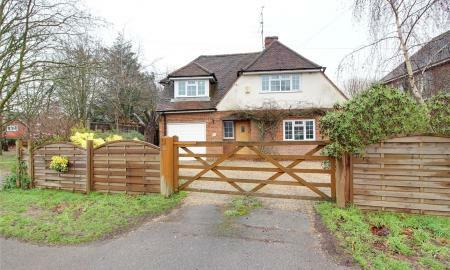 The property is located on a historic leafy lane, opposite Hawkedon Primary School, with excellent access to Maiden Lane shops, carnival fields park and play areas, M4, Winnersh Triangle/Earley train stations and a short walk to Showcase cinema via riverside park and play area. PARKERS: An immaculate extended four bedroom semi detached home with excellent access to Earley Train Station, Reading Town Centre, A329, M4 motorway, Business Parks, Schools, University and Hospital. The property comprises entrance hall, open plan living/dining room, kitchen, cloakroom, study/reception room and a conservatory. On the first floor there are four bedrooms, en suite to the master bedroom and a separate bathroom. There is off road parking for several cars and a garage. The rear garden is stunning and has been landscaped by the current owners. Internal viewings are highly recommended. 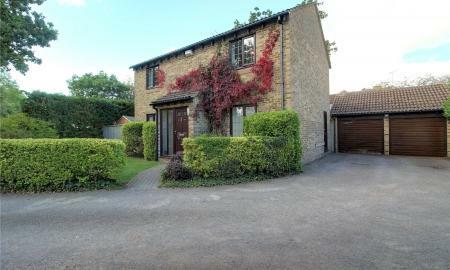 PARKERS: A four bedroom detached family home located 0.5 miles from Earley Train Station. The property comprises entrance hall, access to the garage, dining room, cloakroom with shower cubicle, kitchen and living room. On the first floor there are four bedrooms and a family bathroom. Externally there is approx. 120ft south facing garden fully enclosed with mature trees and shrubs and fencing. 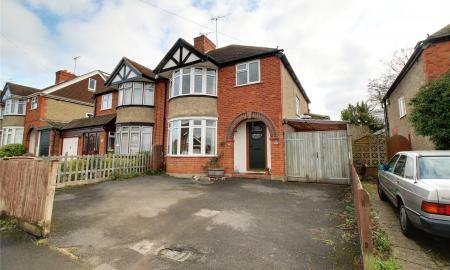 The property further benefits gas central heating, double glazing and Maiden Erlegh School is within walking distance. PARKERS: An extended Gough Cooper three bedroom semi detached house in the Aldryngton and traditional Maiden Erlegh school catchment. The property comprises entrance hall, living room, dining room, kitchen, utility room, workshop, cloakroom and access to the garage. On the first floor there are three bedrooms, playroom of bedroom three and a bathroom. Externally there is off road parking for several cars and the rear garden is circa 100ft long. PARKERS: No onward chain. A four bedroom detached family home with off road parking and located in a cul de sac. 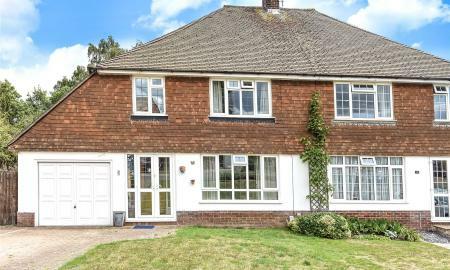 This property has excellent access to the M4, A33 to Basingstoke as well as Reading and Wokingham Town Centres. 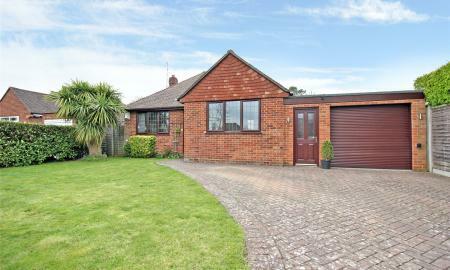 The property comprises entrance hall, cloakroom, living room, dining room, conservatory and a kitchen. On the first floor there are four bedrooms and a family bathroom. The rear garden is enclosed with a lawn and patio area. The property further benefits from a garage. Internal viewings are highly recommended. PARKERS: A very well presented two double bedroom detached bungalow located in a desirable position of Earley and coming onto the market for the first time in 38 years. 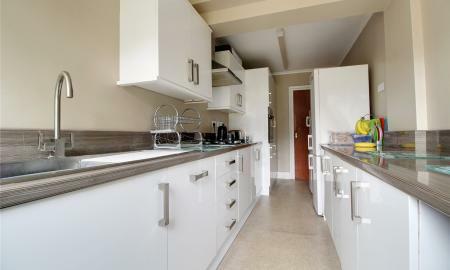 The property comprises entrance hall, two bedrooms, living/dining room, refitted bathroom and refitted kitchen. Externally there is off road parking for several cars, L shaped garage with power, lighting and utility space. The rear garden is mainly laid to lawn with a patio area and offers a high degree of privacy. Viewings are highly recommended. 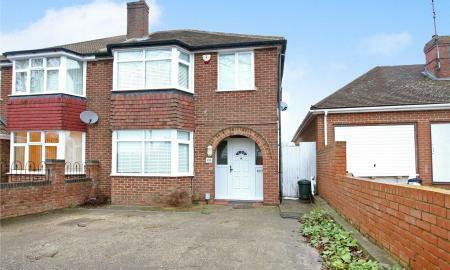 PARKERS: An extended three bedroom semi detached home in excellent condition. 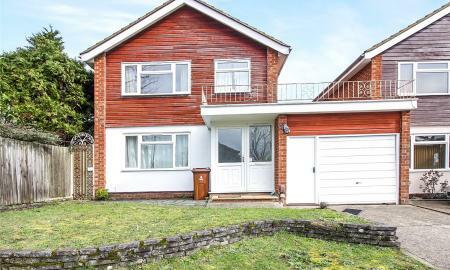 The property is located in cul-de-sac and is in the Maiden Erlegh and Radstock School catchment. The property comprises entrance hall, living/dining room, kitchen/breakfast room, study area and shower room. On the first floor there are three bedrooms and a family bathroom. Externally there is off road parking for several cars and a detached garage. 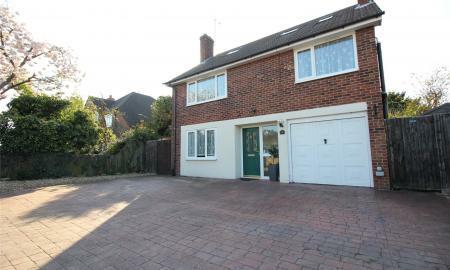 PARKERS: An extended three bedroom semi-detached family home is situated within the highly sought after Maiden Erlegh School catchment area and is in walking distance to local shops and amenities, bus routes into Reading and easy access to M4 Motorway. On the ground floor there is an open plan living room/dining and kitchen. On the first floor three bedrooms and a family bathroom. The property further benefits from a garden, driveway parking and garage. PARKERS: No Onward Chain. 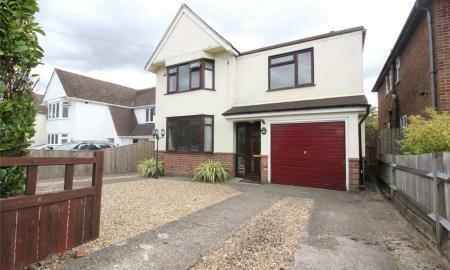 A three bedroom semi detached house with a garage at the back. The property comprises entrance hall, living room, dining room and kitchen. On the first floor there are three bedrooms and a bathroom. The property provides easy access to A4 (East), A329(M), M4 and Thames Valley Business Park, local shopping and amenities. PARKERS: An extended three bedroom semi-detached house with off road parking and a 100ft rear garden. The ground floor comprises entrance hall, cloakroom/shower room, open plan living area, extended L shaped kitchen/dining room with doors leading out to the rear garden. On the first floor there are three bedrooms and a bathroom. 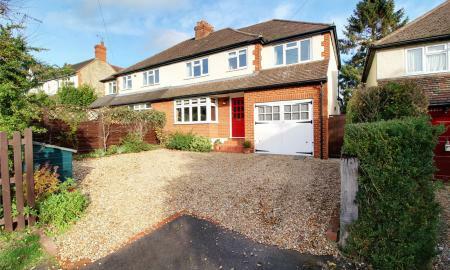 PARKERS: An extended versatile four bedroom semi detached house with a self-contained annex. The property has space at the front for off road parking and off road parking at the rear. The property comprises entrance hall, dining room, living room and a refitted kitchen. On the first floor there are three bedrooms and a bathroom. The annex has a living/kitchen, shower room and bedroom. Externally there is a private garden for the annex and house.